If you have read the previous post on Paleo Diet For Athletes, you are probably hungry for more information on how you can transform your body into its winning form. In this particular article, we will focus on endurance athletes and how Paleo can significantly help in boosting stamina and overall performance. The Paleo diet is based on the nutritional food guidelines of consuming only those that come from wild animals and plants. Dr. Loren Cordain, who authored the book “The Paleo Diet for Athletes,” and teaches in the Colorado State University, designed a special formula in meeting the specific nutritional requirements of endurance athletes. A typical or basic diet simply will not help athletes survive marathons or triathlons. 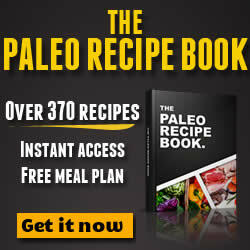 So, Cordain created a 5-step process in adopting the Paleo diet for endurance athletes. The Paleo Diet for Endurance Athletes Dr. Cordain’s Paleo research had basically centered on Stone Age nutrition, emphasizing that our bodies have been able to adapt only to certain kinds of foods. Foods such as refined sugars, anything cooked, and all types of processed food items have only emerged recently, and as such, our bodies have not been able to adapt well to them. Since our bodies have change very little over the past 40 thousand years, we simply have not achieved a level of adaptation that will support the consumption of these “non-optimal” foods. As such, they significantly impair health and reduce overall performance. Implementing the Paleo Diet for Endurance Athletes require different levels of energy and stamina. Therefore, they may need to bend the rules of the Paleo diet just a little bit in order to create a special Paleo diet for endurance athletes. At least TWO hours before the start of a long and hard exercise or race, the Paleo diet for endurance athletes must comprise primarily of carbs with low to moderate glycemic indices. Afterwards, athletes may consume 200-300 calories of food for each remaining hour before the exercise or race. If it is not possible to eat two hours before, athletes may consume about 200 calories of carbs 10 minutes before. Since athletes now need “fast” carbs, eating during exercise must comprise primarily of carbohydrates with high glycemic indices, especially those coming from energy drinks. In following the Paleo diet for endurance athletes, you must understand that this rule applies only for workouts that last more than an hour. Exercise routines lasting less than an hour would only require water. After Within the first 30 minutes following the intense exercise/workout/race, a post-race recovery drink, containing a 4 to 5: 1 ratio of carbohydrate and protein must be included in the Paleo diet for endurance athletes. This energy drink is needed to hasten recovery. In Dr. Cordain’s 5-stage process of adopting the Paleo diet for endurance athletes, stage 4 is simply to continue drinking the post-race recovery drink mentioned in the third stage. This is to be continued for as long as the actual exercise or workout. This would also be the best time to consume non-optimal food items such as bread, rice, corn and pasta. Highly suggested food choices would be raisins, sweet potatoes, yams and potatoes. For the rest of the day, and for those times when athletes are not working out, they must concentrate on consuming only “optimal” food items. This is the actual “Paleo diet for endurance athletes,” when non-optimal food choices are no longer permitted. The Paleo diet for endurance athletes is definitely a tricky process, and requires a clever use of knowledge on the body’s basic metabolic processes and needs. Dr. Cordain’s 5-Stage process of adopting the Paleo diet for endurance athletes will definitely help them optimize their energy stores and at the same time, recover optimally, following intense workouts. How Much Protein, Fat and Carb Supply Do You Need? When it comes to athletic training, the macronutrient requirements vary according to the specific demands of the particular training season. It is however recommended for endurance athletes to maintain a consistent amount of protein consumption all year round. The periodization of an athlete’s diet will result to a significant swing in the body fat and carbohydrate intake, as the training seasons change. During the period of general preparation, the diet should shift towards an increase in fat intake and decrease in carbohydrate consumption. During this time, the training will result to the increased usage of body fat needed for fuel. During the build and peak stage, the training intensity increases which will result to greater demand for carbohydrates supply to fuel exercise. Carbohydrate intake should be increased accordingly to approximately 60% of calories with a corresponding drop of fat intake to about 20%. 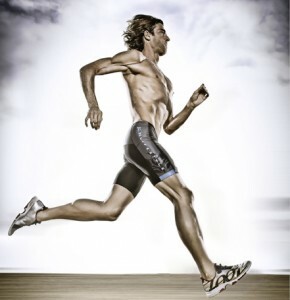 It is important to note that training for endurance sports places significant demands on the human body. 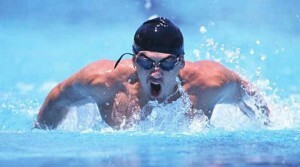 During heavy trainings, the body is also under continuous stage of recovery. To facilitate optimum levels of recovery, proper diet and adequate sleep is important. With this in mind, while Paleo Diet is recommended for enhanced performance, there are nutritional concessions that need to be made to properly support 10 to 35 additional hours of strenuous training as well as facilitate faster recovery rate. By modifying the Paleo diet, before, during and after training and challenging workouts, Paleo is able to deliver the two important benefits to athletes: faster recovery rate and superior health for optimum performance. Of course, Paleo is not just for athletes. Ordinary individuals who seeking a healthier lifestyle can greatly benefit, especially for people who want to lose and maintain their ideal body weight, as detailed in the Paleo Diet Weight Loss article.